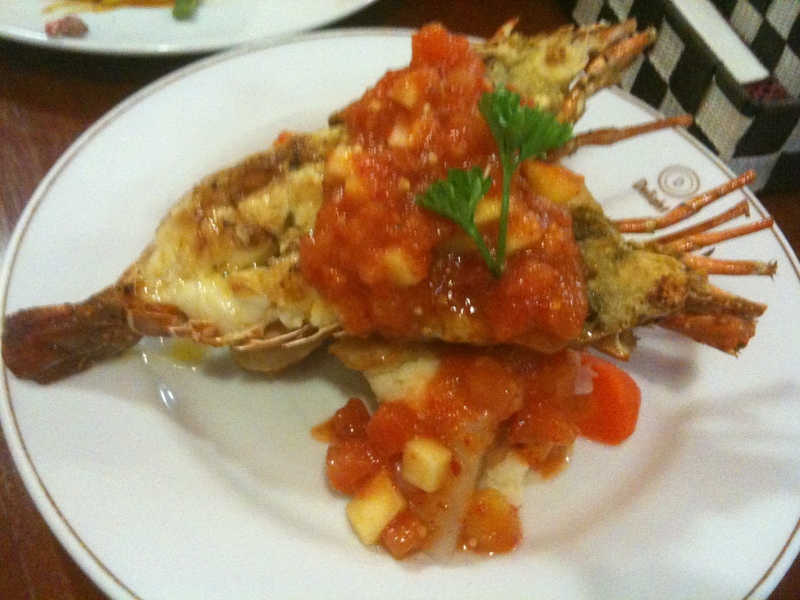 The restaurant serves Seafood Steak and Napalese Cuisine. Restaurant interior and exterior. Quite nicely decorated despite it is in HDB void deck (only drawback is no aircon). 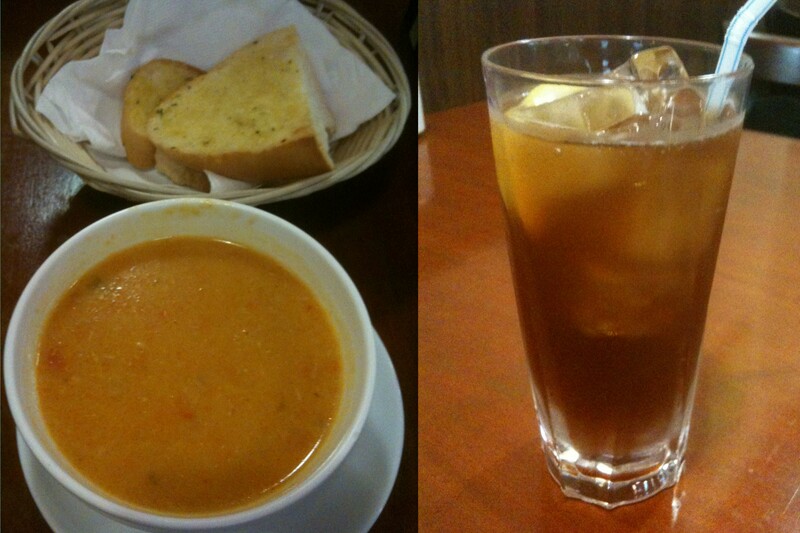 Soup and ice lemon tea (default is coffee/tea, we pay $1 to change). 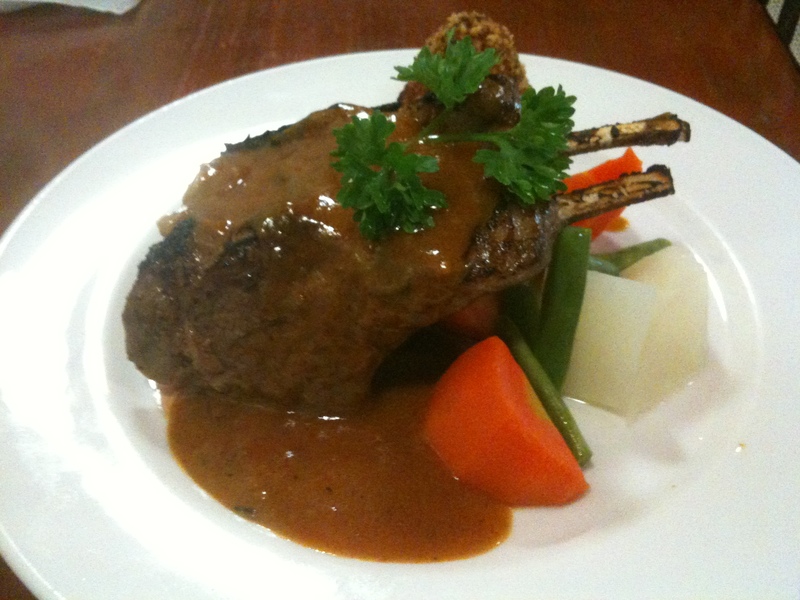 Lamb rack is the special dish of the day. Don’t be surprised by the name, it costs $19.90 only. 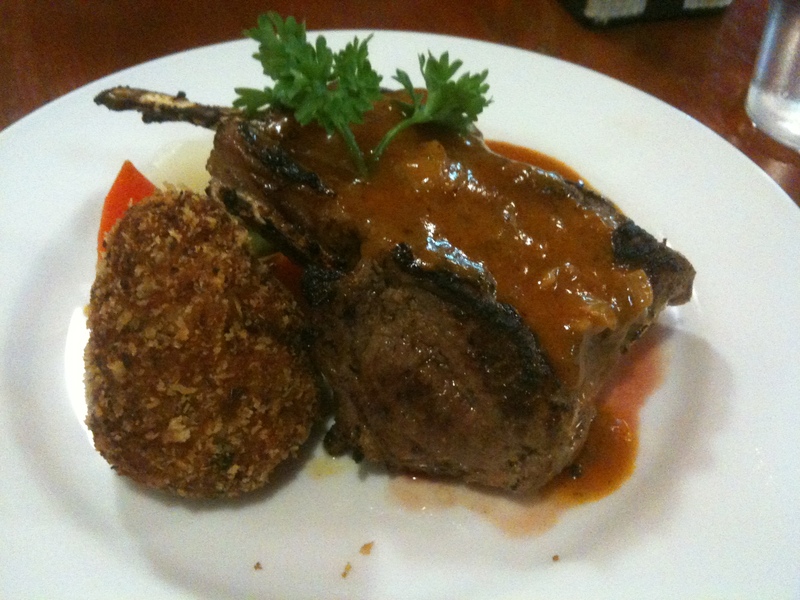 If you are beef-lover, you can try the lobster and sirloin steak @ $20+. 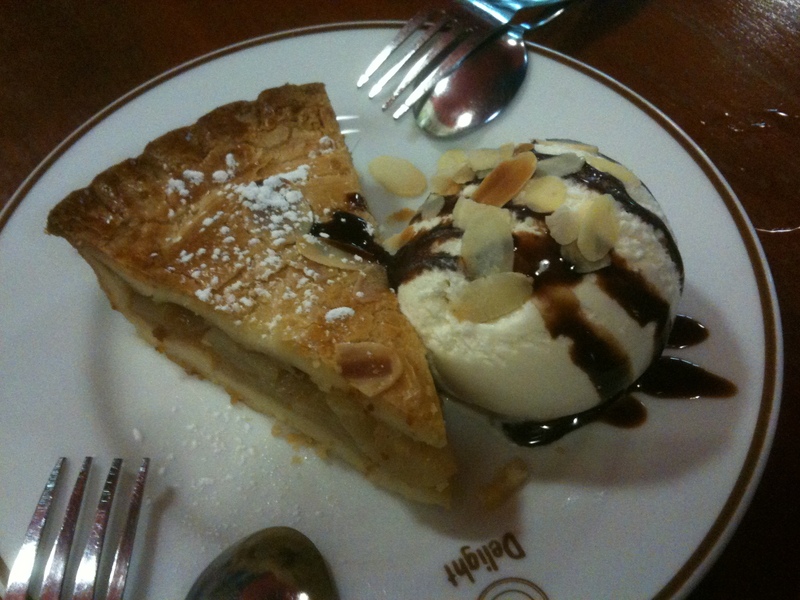 Add $3 to get a drink, dessert and soup. The default dessert is coffee walnut cake. We pay $2.50 to change to this. 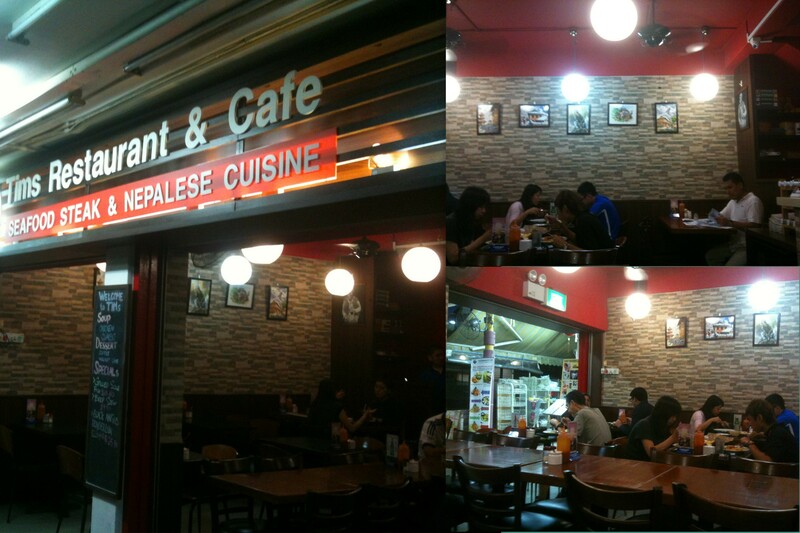 Didn’t manage to try any Nepalese food (Momo) must come back to try!